Phyllo Wrapped Asparagus RecipeThis page contains a phyllo wrapped asparagus recipe. 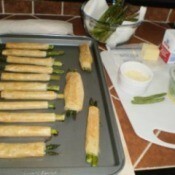 These flakey phyllo dough wrapped asparagus lend a touch of elegance to your veggie side dish. Mama Sue's Sausage StewThis is a guide about Mama Sue's sausage stew. 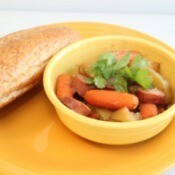 This quick and easy stew is hearty enough for a chilly fall evening or anytime. It is also easy on your pocket. 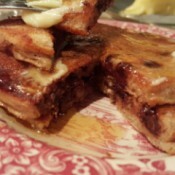 Chocolate Chip Banana PancakesThis is a guide about chocolate chip banana pancakes. 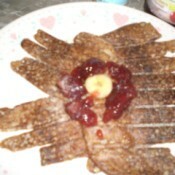 Chocolate is a delicious accompaniment to the flavor of bananas in these kid friendly pancakes. 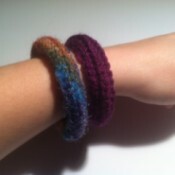 Making Crochet BanglesThis is a guide about making crochet bangles. This quick crochet jewelry project is perfect for the beginner. Hiding an Ugly Foundation WallThis is a guide about hiding an ugly foundation wall. The foundation of your home is probably not the most attractive aspect of the building. 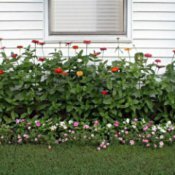 One way to hide it is with plantings. 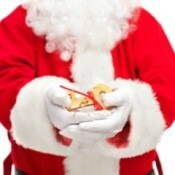 Santa's Magic Key PoemThis is a guide about Santa's Magic Key poem. For those of us who don't have a chimney this cute poem lets Santa know we left a key. 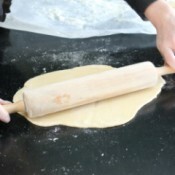 Sweet Pie DoughThis is a guide about sweet pie dough. This sweet dough is perfect for your dessert recipes. Making Cherry Crisp in a JarThis is a guide about making cherry crisp in a jar. 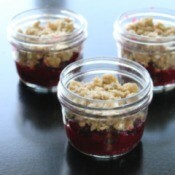 If you love making pies in a jar, here is one for the cherry pie fan in your family. St. Patrick's Day Toilet Paper Tube HatsHere is another cute kids' craft using paper tubes. Make one or more to decorate for the holiday. 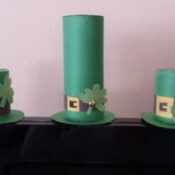 This is a guide about St. Patrick's day toilet paper tube hats. 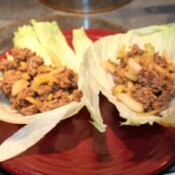 Ginger Beef Lettuce WrapsThis is a guide about ginger beef lettuce wraps. This delicious favored beef can be served in a lettuce leaf wrap or over a green salad. 3 Ingredient Banana PancakesThis is a guide about 3 ingredient banana pancakes. Oatmeal adds a hearty texture to this low ingredient recipe. This is a guide about 3 ingredient banana pancakes. 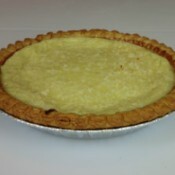 Coconut Custard Pie RecipesThis page contains coconut custard pie recipes. This delicious custard pie is sure to become a family favorite. Crocheted Flowering DishclothThis is a guide about crocheted flowering dishcloth. 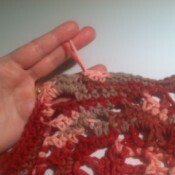 Bring a little color to someone's sink by crocheting a flower dishcloth. Rutabaga and Turkey Casserole RecipeA delicious casserole that could be added to your list of ways to use leftover turkey. 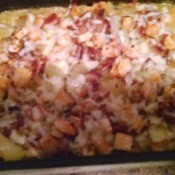 This page contains a rutabaga and turkey casserole recipe. 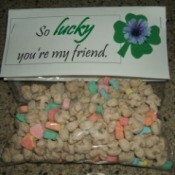 St. Patrick's Day Lucky Charms GiftAn inexpensive gift to make at home is a specially packaged bag of Lucky Charms cereal decorated with greetings for the day. This is a guide about St. Patrick's Day Lucky Charms gift. Flatten Shirt Lapel Without an IronHere is how to get the flattest lapel in town; it is better than using an iron. Take your shirt out of the dryer and hang up on a hanger damp or if it's already dry apply a mist of water to the edge you are looking to press. Preparing for a CelebrationEvery celebration needs preparation. If you are celebrating an event, your attention needs to be focused on the things that need to be done for such an event. 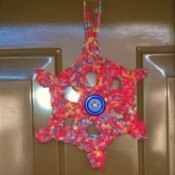 Crochet Snowflake from Recycled SkirtI love anything repurposed so this is what I came up with today. Strips of a plaid skirt crocheted with a tiny snowflake pattern comes out big and bright! Miniature Christmas DisplayWhat is it about Christmas that makes us love things in miniature? I don't know, but I always have. 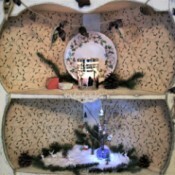 Each year I make a miniature Christmas scene, mostly from found items and natural bits from my yard. This kind of display can be achieved with very little expense or effort. 17th Birthday IdeasMy 17th birthday is March 17 next year, on a Friday. I just don't know what to do. It's also my golden birthday. I had a hotel already and rented out a hall. I was kind of thinking of a bowling party or a photoshoot because I like taking pictures. I don't have that many friends. Any ideas? What Breed Is My Dog?I was found along the road with my mommy who had been killed when hit by a car. I have been bottle fed and I'm growing like a weed. 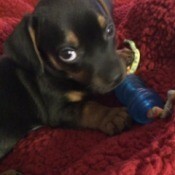 My new mommy isn't sure what kind of puppy I am, but is sure that I'm absolutely adorable! Does anyone have any idea what breed mix I might be? 13 Birthday Party IdeasCould I have some help? 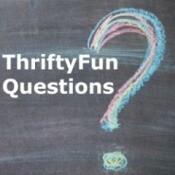 I want to have a birthday party, but have no idea what to do. 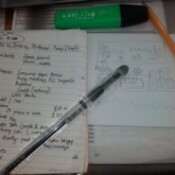 I need things to do at home and for around about 100 dollars and under, for about 7 kids. What could I do? Value of Princess Diana DollI would like to know how to sell a doll of Princes Diana and how much it would be worth. It has the original box. Unfortunately I have no paperwork. The doll is from The Franklin Mint. It is a Diana, Princess of Wales, porcelain portrait doll. Stretching Vinyl SneakersHow do I stretch vinyl sneakers? I am hoping for a home remedy. Identifying a HouseplantThis plant was my mom's. I think it is happy in it's new home. 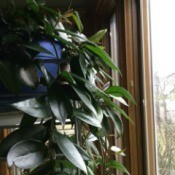 Can you tell me what the name of the plant is? It kind of freaked out when I repotted it so maybe if I knew what it was I could help it some. 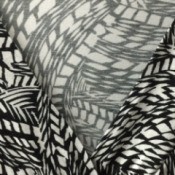 Discontinued Graham and Brown WallpaperI'm after the following: Mystique luxury textured vinyl, by Graham and Brown, pattern number 383.